In the At Home With Martin & Sylvia story, “Many Hands,” Martin and Sylvia get a joyful lesson in the importance of working together one summer day when they get to sail on a big sailboat with their friends, the Webers. They see how everyone has an important job, and the boat won’t sail properly without everyone’s help. The biggest lesson of all is that working together is not only important—but lots of fun. At the beginning of the story, Martin and Sylvia are sitting in their camp chairs watching sailboats go by. Martin enjoys studying the boats to see which go fast and which go slow, while Sylvia loves to look at the beautiful colors and shapes of the sails. 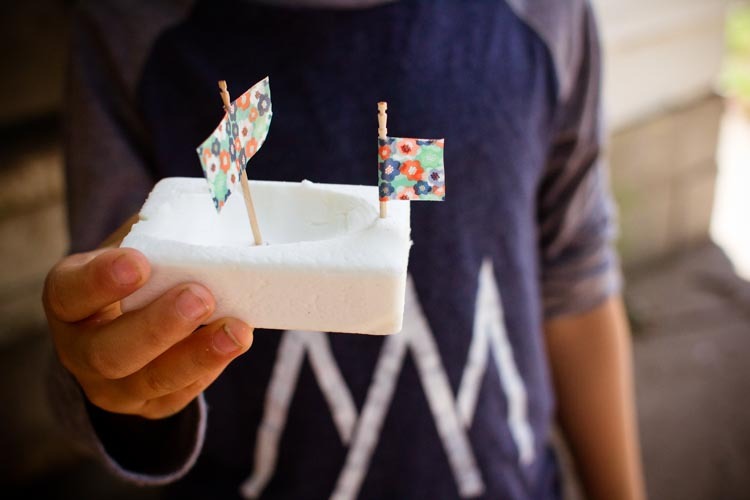 Even if you don't live close enough to a river or lake to sail a real boat, you can experience a bit of the marvel of sailing in your own backyard with these carved soap racing boats. 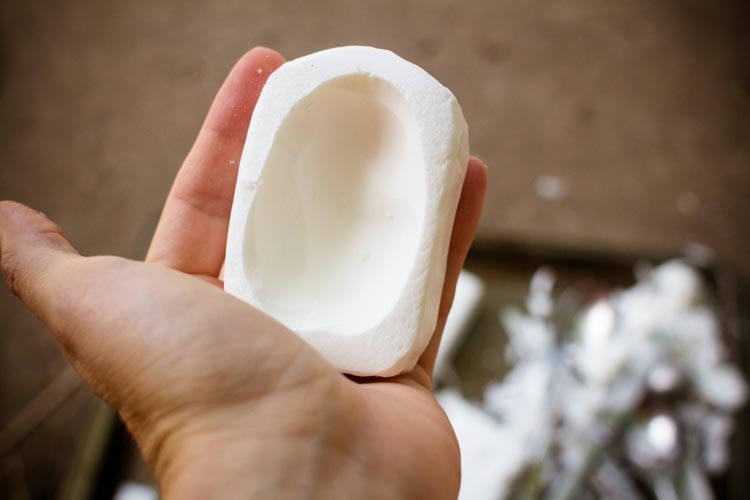 Soap is soft enough that it can be carved into the shape of a boat with common kitchen utensils, like spoons and butter knives. 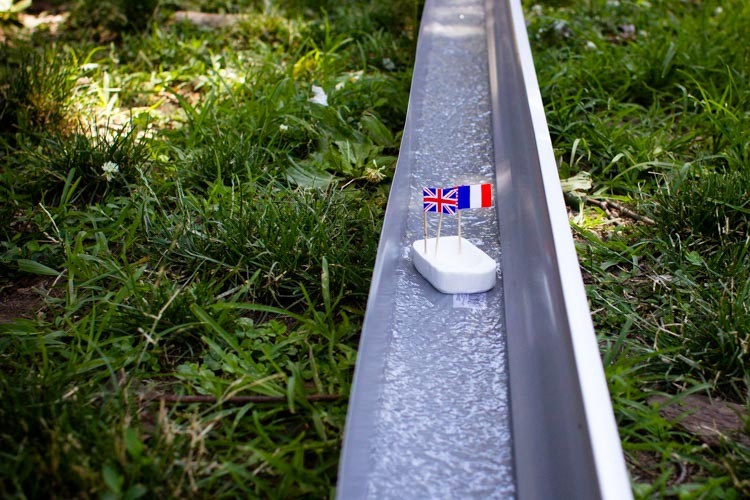 Head to the hardware store for an inexpensive piece of guttering—that's your river—aim it at some plants that need watering, and you've got a sailboat race! 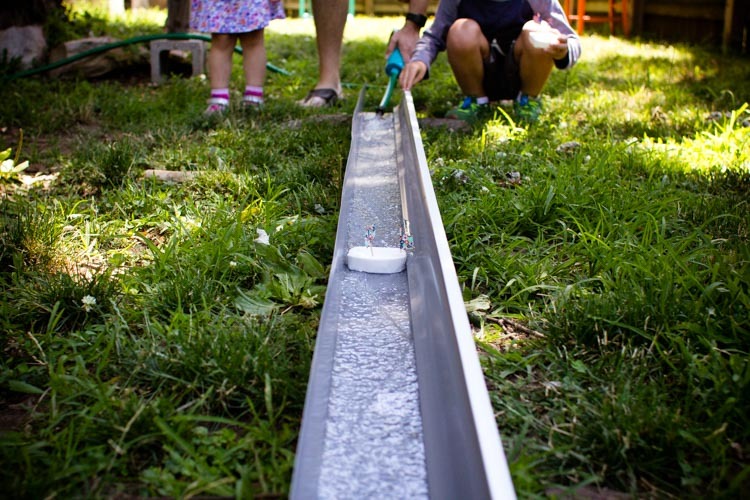 While you can find instructions to make the “river” with a long piece of aluminum foil, I highly recommend using guttering instead. 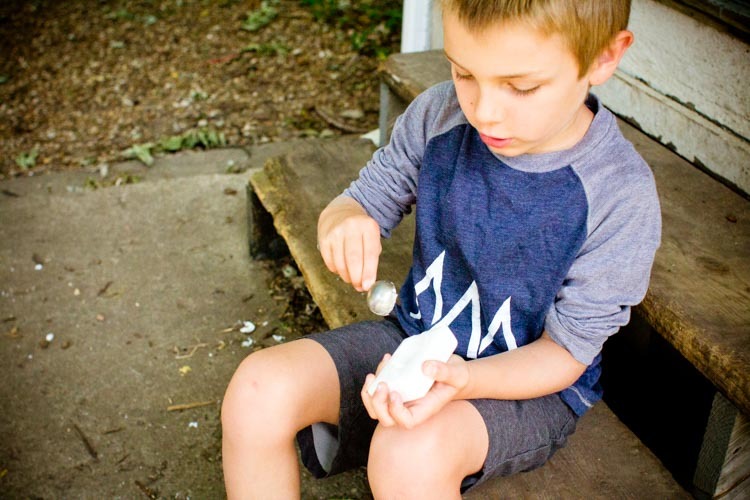 You can only use the foil once, but the guttering—which doesn't take up too much room to store in a garage—can be pulled out over and over again for many afternoons of fun. 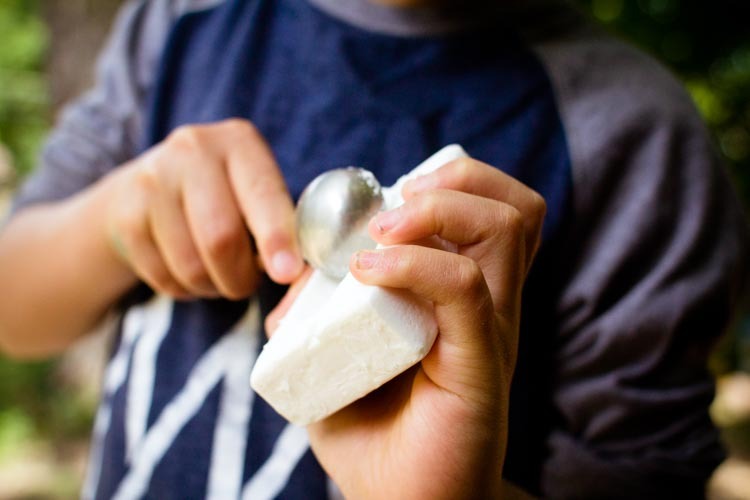 Use a spoon to carve a bowl shape into the center of a bar of soap, then use a butter knife and your fingers to smooth the outside edges into a boat-like shape. 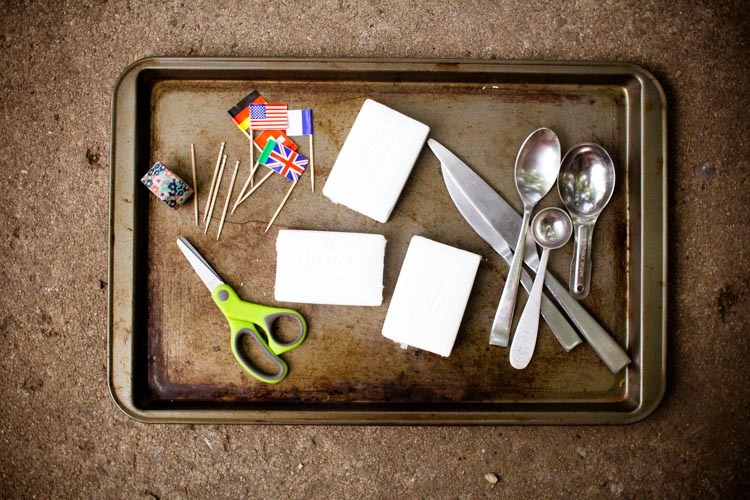 Stick a cupcake flag or two into your boat to make a sail, or, if you'd rather, make your own flags by wrapping washi tape around toothpicks. 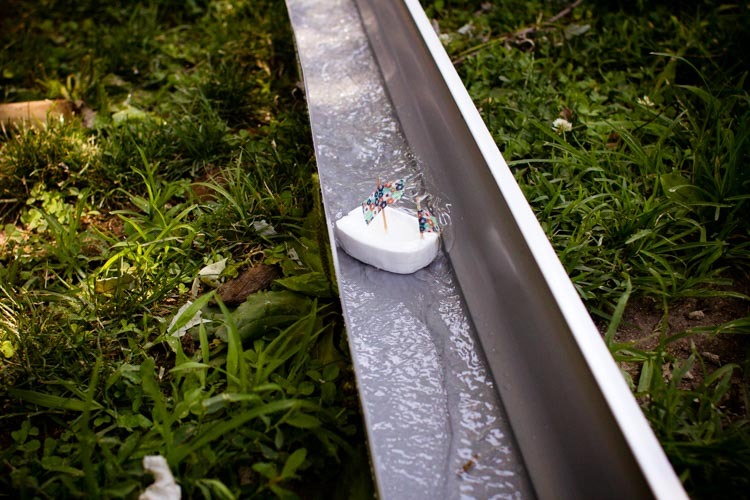 Once you're happy with your boat's appearance, you're ready to make your river. To do so, prop one end of the gutter up slightly, and position your garden hose to flow into it. 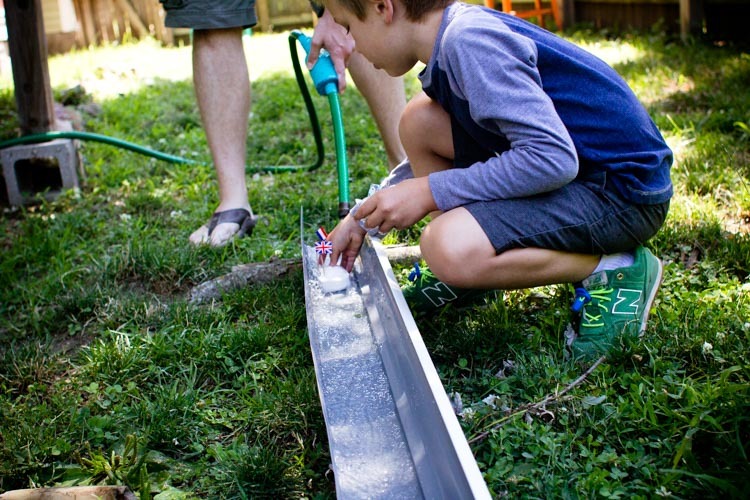 You're going to be using a lot of water for this, so I recommend pointing the other end of the gutter into a garden bed, if you can, so that the run-off goes to nourish your plants. Now, turn the hose on and let the races begin! Younger kids will probably be happy to just watch the boats slip down the river. Older kids might enjoy crashing the boats together or timing the boats to see which one is fastest. 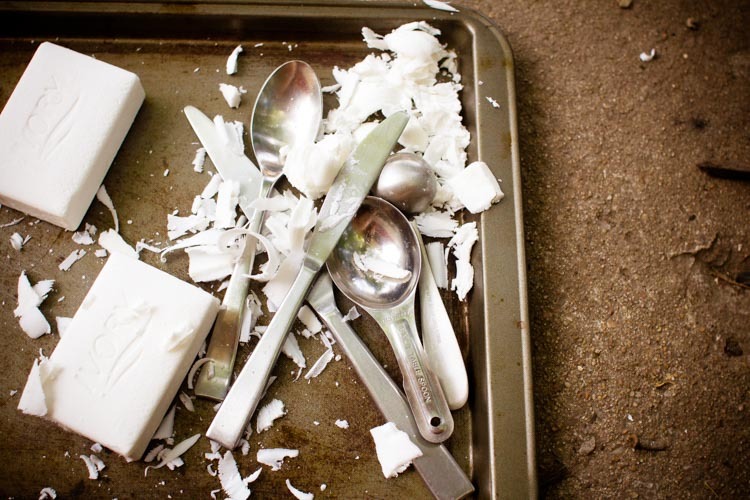 Either way, it's all hands on deck for cool, soapy fun.